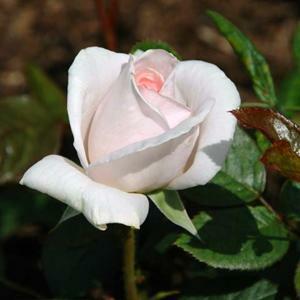 Hybrid tea rose with double very pale blush-pink flowers, fading to near white. Strongly scented. Repeat flowering from early summer. Raised by Colin Pearce, the Limes New Roses, Devon, introduced 2006.